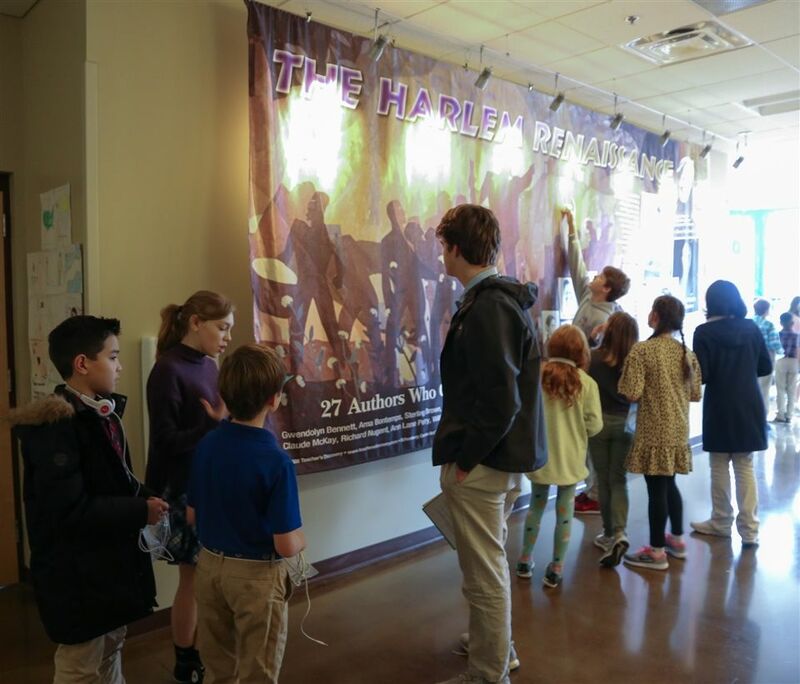 In celebration of Black History month, eighth grade students became docents to "tour" younger students through their Harlem Renaissance museum. Inside the "jazz club", students were able to sample the music of Duke Ellington, Louis Armstrong, and Billy Holiday. 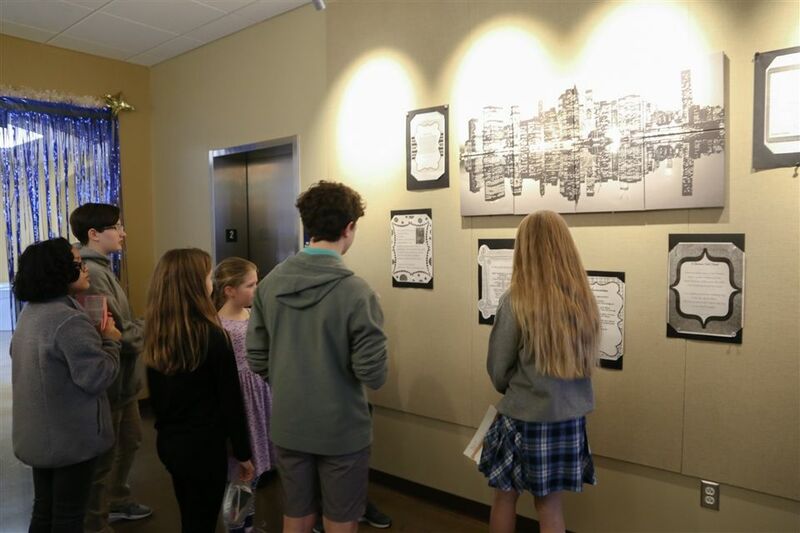 Docents also pointed out art work from renowned artists like Aaron Douglas and Jacob Lawrence and shared poems from writers like Zora Neal Hurston and Langston Hughes.